Students & Beginners Guide on Basic Search Engine Optimization 101. This Blog post on Search Engine Optimization(SEO) 101 for students & beginners teaches the basics about Search Engines and web page optimization. Search Engine Optimization in short is called SEO and is also known by different terms like web promotion, organic promotion and free search listing. "Search Engine Optimization (SEO) 101: Students Guide - Basics" helps to learn What Search Engine is, What SEO is, Why we do SEO, How SEO works, Finding the website page index, Adding a website page to Google, Yahoo and Bing in a simple way. Favorite or Bookmark this post as the author will be adding more information on Basic SEO and you may use this post as a reference guide whenever you like to implement SEO. Search Engine is a tool that helps to retrieve information for a user when a query is typed into the search text box and by clicking search button submit. A large amount of information can be easily retrieved when you do a search for a particular query also known as Keywords or Key phrase. Search Engines have large databases that stores information consists of web pages, images, products, news, videos and many other types of files. Information are listed according to Search Engine internal algorithms. When you do a search for a keyword, you can notice the Webpages listing with total results on right hand side of the browser page of some thousands of records. Here the internal algorithms work for displaying the most relevant Webpage results for the keywords. Most Search Engines follow their own algorithm and a few combine or share with others. Search Engine Optimization (SEO) is a process to maximize web page visibility in Search Engines for users search queries (Keyword or Key phrase). SEO tells Search Engine what the site WebPages are about and helps with easy WebPage crawl through effective Page Title, Meta tags, Alt attribute, Anchor text, Search friendly HTML tags and code, Optimizing quality content, Keyword optimization and Link building strategy. * To increase targeted organic traffic. * To create brand identity. * To increase global online presence. * To list ahead of competitor. * For long-term sales conversion. * To reach potential customers. How Search Engine Optimization work in General? Assume you have a non-SEO webpage and you check for search queries (Keywords / Key phrases) related to your content and check for Search Engine ranking in first page, top 10 positions. If you are ranked, it is well and good. You can dance. But the possiblity is that you will not be ranked for highly user-searched keywords known as strong keywords. Here you need to start with SEO Basics. For starters, check whether you have everything in the WebPage to compete with the competition or the information that lists above your Search Engine indexed WebPage. Things to be checked are fresh informative content compared to the page listing above your WebPage listing. Getting the best keywords, comparing with the pages listed above your listing and verifying with good keywords suggestion tools. 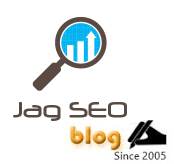 You have various good tools like Google keyword tool, Wordtracker and Keyword Discovery. Write clean code with well-formatted Cascading style sheet and Java script, and have it as an external file. Try to give more importance to content and only use images with Alt attribute if you find them more relevant to the content and make the web page light in weight. Improve navigation links and the best practice is to go with text navigation links rather than image links for easy Search Engine crawl. Add user interactive forms, polls and quiz if the webpage information needs it. Then start submitting webpages to directories gradually. Once your WebPages are added to few directories and the search engine identifies these directories submission and stores the link information in database, then you will see improvement in your webpage position gradually. SEO works slowly and it is long term. It takes days, weeks and an even a month depending on the WebPage content competition and total search results. So we need to wait for the WebPage to generate traffic and conversion. At the time when a Search Engine user searches for information using a query then the query is referred in Search Engine web server to retrieve index information page, the web server refers to index server. On the other hand assume a SEO work has been carried out as explained in preliminary measures and checks and primary SEO guidelines to the WebPages and submitted to the index sever (Refer Figure 1.0). This SEO process makes the WebPages re-indexed by Search Engine bots and stores in index server. Altogether the user query is being checked in index server and Search Engine internal algorithm looks for WebPages in doc server that match the user query and starts listing the indexed WebPages in results of 10 per page. How to find if a website is indexed or not in Search Engines? To start with you need to check whether your site pages are indexed or not in Search Engines (Refer Figure 2.0),. Step 2: Type, Site: www.yourdomian.com in Search box. Step 3: Press, Submit search. If your site pages are listed, you can see a search result page with total site pages indexed. If your site pages are not indexed and listed and Search Engines show "No Results" then you need to add site pages to Google. Yahoo and Bing. How to list a site in Google, Yahoo and Bing? If your site is not listed then you need to tell Search Engine about your site through Search Engine add URL page. Go to www.google.com/addurl then enter your domain in URL text box, enter comments (optional) and type Captcha text and click Add URL button. (Refer Figure 3.0). That's all. Now your domain is added in Google Search Engine to index your domain WebPages. Go to http://siteexplorer.search.yahoo.com/submit then enter your domain in text box and press submit URL button. (Refer Figure 3.1). That's it. Now your domain is submitted in Yahoo Search Engine to index your domain WebPages. Go to www.bing.com/docs/submit.aspx then type Captcha characters and next type your domain and press Submit URL button. (Refer Figure 3.2). That's all. Now your domain is submitted in Bing Search Engine to index your domain WebPages. * Write quality content for readers and help them with information for what the page is about. * Use cascading style sheet for site page layout and clean code. * Adding H tags for Headings and sub-headings for the content. * Adding Alt attributes for images. * Adding Anchor text for contents. * Having content of 400 words minimum per page. * HTML size should not be more than 50KB to 100KB. * File name should be the same as page title. * Adding text header navigation links, footer navigation links and Breadcrumb. Google panda update has made tremendous change in search engine results. The main goal of Google panda update is to get rid of content farm and scrapper sites. Google is still fighting on the panda factors. Go through the checklist and fix the factors and become a panda free site. Factor 1. Do you have a low search performance page? Remark - You need to work on the quality of the page or you may delete the page. One non-quality page should not disturb other n number of quality pages. Factor 2. Does your site loads slow? Remark - The site load time should not be high. You need to optimize your images and code to reflect site load speed. Factor 3. Do you have well researched keywords that related your web page content? Remark - Without enough quality content, do not optimize your page titles for search keywords. The site page will be repeatedly listed for the user’s keywords only when the page is useful for the search user’s .Do not get into the personalized search users signed in site block list. At one point the search algorithm will be informed about the blocked sites. Factor 4. Do you have high bounce rate? Remark - The site need to have well structured related links within the content or around the content. The navigational structure of the site should be clear with quality content. If the content is clear and interesting then the bounce rate will gets decreased because users will be interested to visits other relevant links. Factor 5. Do you see users spending minimum time in your page(s)? Remark - For a good site the users average time spent on the page should be high. This is based on the size of the quality content and other relevant content pages. You need to work on your content to hold users on the page(s) for long period. Factor 6. Do you have related images for the content and do you own the copyright? Remark - If you are having images for your content then it should be relevant to the content. The image should speak about the content. Use your own image content or make sure to get the copyright of the image. Factor 7. Do you have a clean design? Remark - Users experience is one of the main factors for panda update. Make sure the content is readable and website structure is user friendly with right combination of colours for a proper look and feel. Balance users experience with search engines experience. Also make sure that you include unique title, Meta tags, H tags, P tag, blog font, alt attribute and anchor texts. Factor 8. Do you have a Meta description that briefs your page content? Remark - Make sure that the Meta description is not stuffed with keywords and it includes a brief of the page content. Factor 9. Have you done a grammatical check on your web page content? Remark - Try to avoid grammatical mistakes in your content. Try to proofread before the content goes live. Clear content has high chance to list top. Factor 10. Do you have more backlinks from same c class IP sites? Remark - Natural links are always better that artificial backlinks. Natural links are risk free. Update you site often with quality content so that your readers will like to give link from their site(s). Artificial backlinks from directories submission site has high chance to be from the same c class ip unless it is well researched. Bunch of links from same c class IP are not valid and can also be considered as spam. Hope the above Google panda SEO checklist helps. The main factor for panda recovery is to avoid duplicate content and to remove or update poor quality content. Feel free to share your experience and factors if any. Google provides many free tools to help SEO’s and webmasters to market website online and as well to measure the ongoing traffic. Here is a list of tools that are not common and making use of these tools will improve your online presence and as well help to measure your online traffic. (1) URL tagging tool - This Google Analytics URL builder tool will help you to fill in the form information like Campaign Source, Campaign Medium, Campaign Term, Campaign Content and Campaign Name and click the Generate URL button for the tagging URL. (2) Rich Snippet tool - This Rich Snippets Testing Tool will help to check your structured data markup and it shows how Google display your URL in search results. (3) Crawl URL tool - This tool helps you to submit pages to the Google Index and which doesn't require ownership verification. So you can submit any URLs that you like. (4) Page Speed Service tool - This tool is for requesting access to the Google Page Speed Service. If your site is too big with loads of information and you like to speed up your website then you need to give it a try. This service is a limited service. (5) Page Speed Online check tool - This tool helps to measure the website performance and provides optimization suggestions for developers. Apart from the above tools, there are many widely used common tools like Google webmaster tools, Google keywords tool, Google insight, Google trends and Google traffic estimator. If you find any new Google tool, feel free to mention.